Europa Camping Sand es un camping en Willstätt, Baden-Wurtemberg. El camping tiene plazas con cercos, sin sombra y parcelas con algo de sombra. Cabe alquilar casas rurales. Este inspector visita cada año al Europa Camping Sand y lo inspecciona considerando más de 200 servicios y otros aspectos importantes. El inspector es un trabajador de ACSI y no trabaja para el camping. Very good place for visit Europa Park. Staff is very friendly, toillet are very clean. If you want eat the restaurannt is good. The staff was excellent, friendly and spoke English. The toilet/showers were very clean. Overall, it felt very safe and we would go again. A great place to stay. The new owners are great hosts really friendly and helpful. Informative about the area and getting to Strasbourg. Pitches good, easy access, good facilities,new showers great, clean, plenty hot water. The site is surrounded by lovely countryside, good for cycling and walking. Great value, we will certainly be returning here. There’s a restaurant on site but didn’t use it, but it was always busy. Recently updated toilet facilities, clean toilets and hot showers, lovely small site on grass close to Strasbourg. the owner wolf family are very friendly site is clean we were out of milk and the owner got us one from her own fridge. they could not do enough to help have a problem with car said do we need a garage, as they have a good one near. Biker Friendly! :-) I visited this site on my Solo European motorcycle tour in May of 2017 intending to stay over for one or two nights. I was met by a very friendly and helpful couple and I ended up staying for four nights! During this time they arranged for their capable son - and his lovely girlfriend - to repair my slightly damaged motorbike, made sure I obtained a 'vignette' for my onward entry to Switzerland and even took me to the local supermarket to stock up on supplies. Every morning I was welcome to share breakfast with them and their lovely family and I cannot say enough how welcoming Ilse and Stefan were. They all spoke excellent English and I was made to feel at home with friends. The site is clean, quiet and comfortable and the surrounding countryside is good for Cycle/Motorcycle rides and for walking. A small Italian restaurant on the site serves good food and drinks and the local town has shops and a couple of small, pleasant restaurants within walking distance. A great place to rest up! I highly recommend this site and the owners. ¿Desea reservar u obtener más información sobre su camping Europa Camping Sand? Puede hacerlo mediante los datos siguientes o a través de la web del camping. A5 sal. 54 Appenweier/Straßburg. Después dir. Straßburg. Siga las señales del camping por Sand. El camping está a 150 m en las afueras del pueblo. Preste atención. 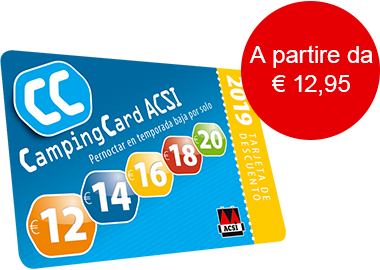 ACSI Eurocampings reenvía su solicitud de información al "Europa Camping Sand".